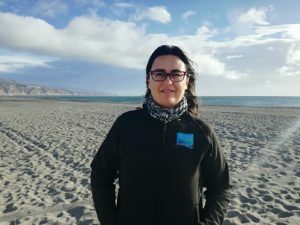 Meet Macarena Molina, LIFE’s Project Manager for the Alboran Sea! In the framework of its three years project “Mainstreaming small-scale low impact fisheries in the Mediterranean” funded by the MAVA Foundation, LIFE is reinforcing its presence on the ground in order to provide increased support to the small-scale fishing communities in the region (click here for more information on the project). Macarena Molina was selected to help LIFE in this important task across the Alboran Sea. Dear Macarena, welcome to LIFE! We are really glad to have you as part of the team. With a background in biology and a number of years working aboard small-scale fishers vessels, you have a deep knowledge of the sector from both an academic and practical point of view. Can you tell us more about yourself and where this passion comes from? I started to work with fishers as a marine environment officer and in the framework of that experience I had the opportunity to discover the deep knowledge fishers have about the sea, their generosity in sharing it with me but also the difficulties they face as small-scale fleet. I decided to spend time with them for a personal interest, because I wanted to learn from them and to give them back a little of what they gave me by committing and giving value to the cause of small-scale fisheries. You worked for a number of years aboard the vessel of Luis Rodriguez Rodriguez, representative of LIFE spanish member organization Pescartes. 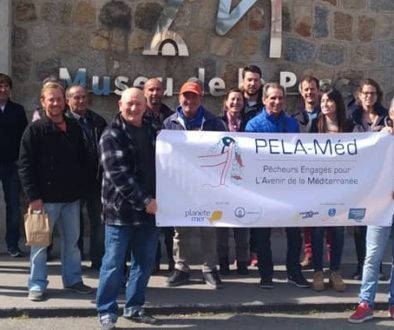 Can you explain to us what you learnt from this experience about the world of small-scale fisheries, and especially about the sector in the Alboran sea region? 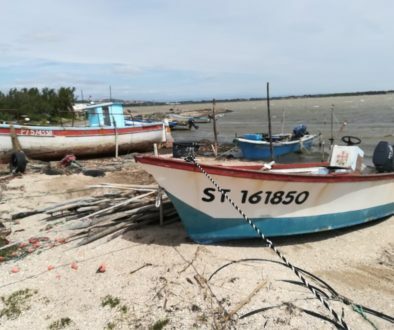 This experience raised my awareness on the challenges faced by commercial small-scale fishers, on the lack of representation within institutions and how little they are listened to. I also learned more on the passion that they put in their work and the interest they generate in all of those who approach them. From a biology point of view, what are the main characteristics of the Alboran sea region and the issues that affect the local ecosystems and, in consequence, fisheries activities? The Alboran Sea is the “regeneration” channel of the Mediterrean Sea, the entry point of the Atlantic ocean’s waters that, through its currents, keep the Med “alive”. 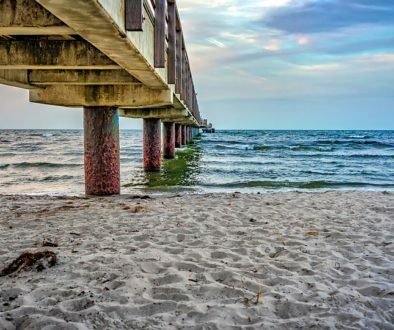 It has peculiar characteristics affecting fishing activities such as the number of species available in the area, hydrodynamic conditions as well as its geographical and bathymetric profile and different ecosystems. It is in fact the entry and exit point of migratory species, some of which are interesting for fisheries interests. The main mission of LIFE is to provide a voice for the sector at the institutional level, but also to support fishers with overcoming their challenges on the ground. What are the priorities that you plan to tackle first, in the light of the needs of the communities of the Alboran Sea? I believe the first step should be to streghten LIFE’s profile within small-scale fishing communities in the area, as that will help to overcome the isolation of the sector which is one of its main weaknesses. I aspire for member organisations to set the course of LIFE, but first I have to explain to her how to interact with the organization overall. The start of your cooperation with LIFE coincides with the conclusion of an important project funded by the Carasso Foundation in the framework of which you had a coordination role: Pescados con Arte. What have been the main results of such a project and are there any best practices that you would recommend to replicate in other fishing communities across Europe? Pescados con Arte has been a very enriching experience that confirmed the interest of the wider public for our sector. It would be great if other small-scale fishing communities could replicate it in their respective areas as it would generate positive effects from a social point of view and help to raise the profile of small-scale fishers. 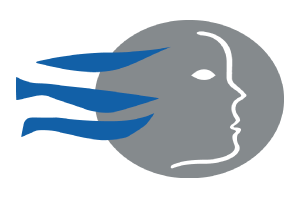 As a committed activist for the rights of small-scale fishers, you have already been in touch with LIFE’s partner organization AKTEA, the European network for women working in fisheries and aquaculture. What do you think of such a movement and what contribution could you provide to its growth and reinforcement? I believe the contribution of women to fishing communities and the wider sector is very important. It is important to create spaces where they feel strenghtened and supported to share their concerns. Aktea is definitely an opportunity in this respect and I will work to ensure it becomes an helpful tool.